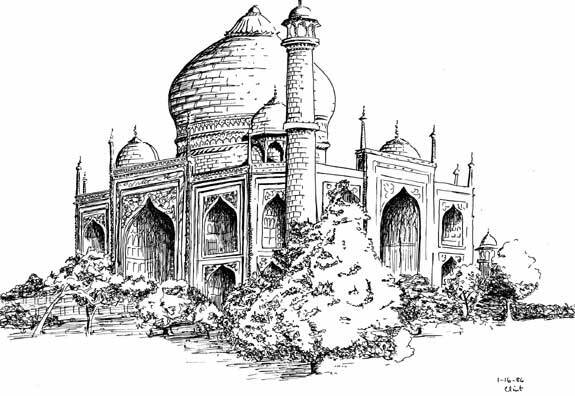 INDIA ...Taj Drawing . . .Few come to India without a visit to the Taj Mahal, built for a lover. It is beyond description inside and out. This drawing is too mechanical for my tastes, but drawing it helps me notice details..